Webcast and Web Conferencing. What’s the difference? 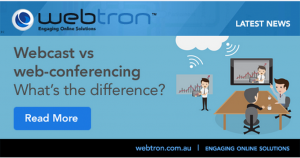 Webcast and Web-Conferencing – What’s the Difference? What’s the difference between Webcast and Web Conferencing? A webcast is a media presentation distributed over the Internet using streaming media technology to distribute a single content source to many simultaneous listeners/viewers. You can distribute a webcast either live or on-demand. Essentially, webcasting is “broadcasting” over the Internet. A webcast is a service which streams content from one place to many people in an online audience. A professional corporate webcast usually features professional filmed vision and audio, a branded page and PowerPoint Slides. Professional corporate webcasts are a popular corporate choice for many events including seminars, conferences, AGM’s and product launches. Sometimes a webcast may be confused with web-conferencing. Web conferencing is best described as many people or places streaming content to many viewers. It is not professionally filmed or feature professional audio. Web conferencing is popular for inter-company meetings, group work and remote office team work. 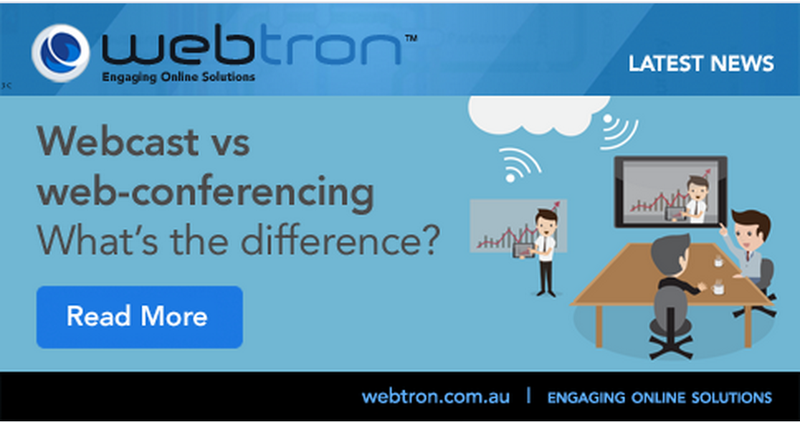 So a webcast vs web-conferencing, in turn, are really quite different. 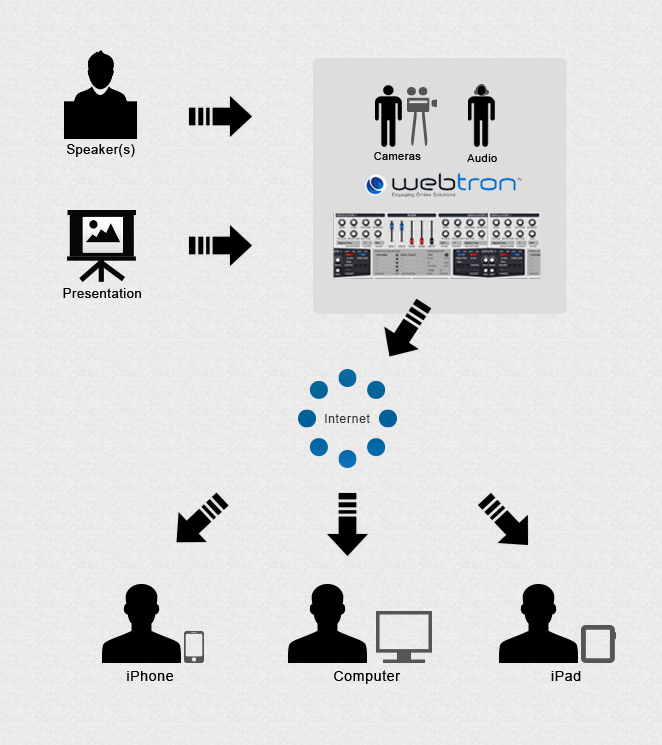 Contact us at Webtron today for our webcast and web-conferencing services.